Huffman Engineering, Inc., a leader in control systems integration with offices in Nebraska and Colorado, today announced the recent hiring of Mechanical Engineer Nick Hein. Hein will join the company’s Colorado engineering team to support the development and execution of turnkey automation projects for manufacturing and utility customers. 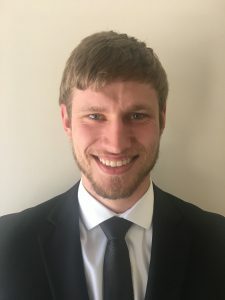 Hein graduated from the University of Wyoming in May 2017 with a Bachelor of Science in Mechanical Engineering where he was a member of Tau Beta Pi National Engineering Honor Society and graduated with honors. He passed the Fundamentals of Engineering Exam (FE) and holds his Engineer-In-Training certification (EIT) in Colorado. Prior to joining Huffman Engineering, Inc., Hein worked at Gilbane Federal: Fuels Division in Denver, Colorado as a Mechanical Engineering intern. Huffman Engineering, Inc. is a CSIA Certified control systems integration company offering turnkey engineering design and control systems integration services to manufacturing and utility customers. Based in Lincoln, Nebraska with a second office in Colorado, Huffman Engineering has served the Midwest since 1987.